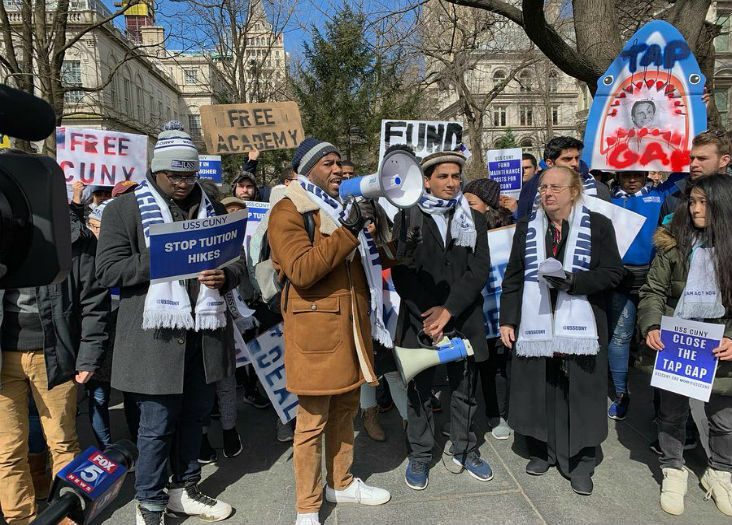 BARUCH COLLEGE–CUNY students, faculty and staff rallied outside City Hall on March 23 to bring awareness to the budget cuts proposed by New York Gov. Andrew Cuomo and push for more funding. The rally was held the week before the April 1 budget deadline and was followed by the third annual “March in March” across the Brooklyn Bridge. 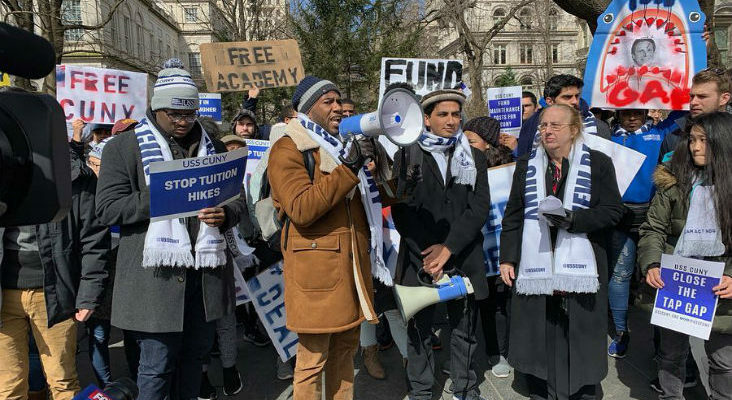 The march was organized by the CUNY University Student Senate, which called for a tuition freeze, an increase in public funding and equitable contracts for adjunct professors. The Professional Staff Congress also marched to represent the 30,000 CUNY adjunct professors who have been without a contract for more than a year.